Download Prize of My Heart by Lisa Norato for free on e-book! Will His Love Endure Once He Learns Her Secret? Three years ago, Captain Brogan Talvis's late wife abandoned their son, leaving no clue as to the boy's whereabouts. After searching relentlessly, Brogan discovers his son was adopted by a New England shipbuilder. And the man's daughter, Lorena Huntley, acts as loving guardian to the child. Lorena, who hides a dark truth, finds herself falling for the handsome captain and ex-privateer who's come to secure ownership of one of her father's ships. 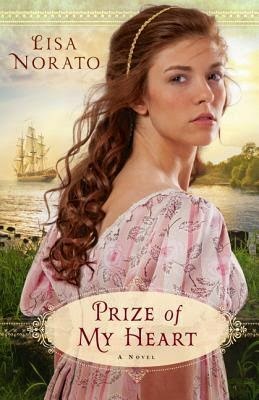 She's unaware of Brogan's own secret when another's deceit has her sailing toward Europe against her will. Haunted by thoughts of Lorena in peril, Brogan is compelled to choose between the boy he longs for and the woman who has captured his heart.